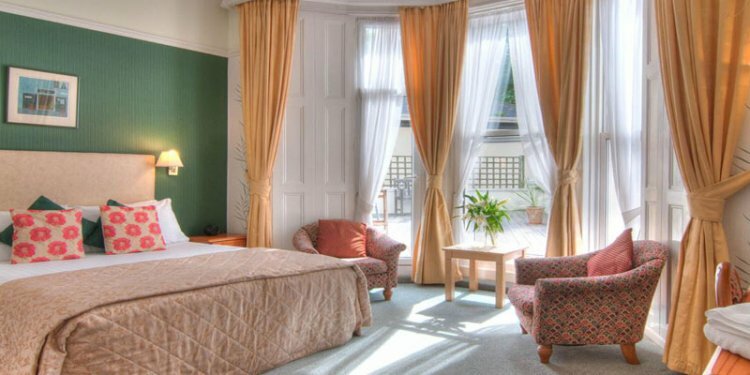 Add a little bit of style and class to your break in Torquay, by visiting us here at The Hotel Balmoral situated in the scenic area of Meadfoot close to the town centre. Our number one goal is to provide you with outstanding and value for your money, which is why we offer a number of cheap breaks and deals available all year round. Discover our latest half board breaks in Torquay with the links to your right or just browse our classic breaks below. Book in advance or secure the perfect last minute break in Torquay. Our October breaks are back, save on half board or bed and breakfast when booking 3 nights or more midweek (sun-thurs) on-line or by telephone, See our latest last minute deals. 2/3 Nights half board package with live entertainment and Sunday lunch included. Ideal for couples or groups that fancy getting away for a couple of nights, our weekend breaks offer that quick getaway you so desperately need. Our package special weekend breaks are not to be missed, regular guests book months in advance . If you’ve never visited Torquay before, then this is the perfect way to test the waters and explore some of the local attractions. Get rid of those Monday blues by taking advantage of our midweek breaks offered around the year. Whether you want to spend a few nights just relaxing around our peaceful hotel, or you are planning a fun filled week visiting the local attractions, the midweek deals are great value for money. In November we go offer four night breaks at unbelievable value. Every year, Valentines day is hugely popular at The Hotel Balmoral, as we welcome couples from all over he country who wish to spend a romantic Valentines break together. Enjoy lovely walks along Meadfoot beach before entering our fine dining room for a meal that you will never forget. Maybe you want the simplicity of a bed & breakfast offer, so you are free to spend the day exploring everything that Torquay and Devon has to offer? You can start the day with our range of delicious breakfast options, such as a traditional English, buffet, or kippers. Then retire at night to our modern and comfortable rooms, all with en-suite bathrooms, tea and coffee facilities, a 20 inch television, and direct landline. Getting away for the Christmas period is becoming increasingly popular, which is why we always welcome a large number of returning guests into our Christmas programme. Let us do all of the hard work, while you just sit back and enjoy yourself. The majority of English seaside hotels close down in winter. Not us! Thanks to a mild climate and stunning scenery right outside the hotel, we offer a range of December breaks in Torquay to suit every budget. Why not celebrate the New Year with our New Year Packages? The English Riviera is very mild at this time of the year, which means you can still take a stroll on Meadfoot beach or sit in our large garden overlooking the sea. Highlights in the hotel include an eight course New Years Eve meal, a private fireworks display, free raffles, and a mystery tour of Torquay. Want to get into the festive spirit but don’t have much time? If this is the case, then our 2 Night Christmas Twixmas siesta breaks are just the ticket. Arrive on 28th for two nights – Enjoy Christmas by the sea, and celebrate this special time of the year in a friendly atmosphere.